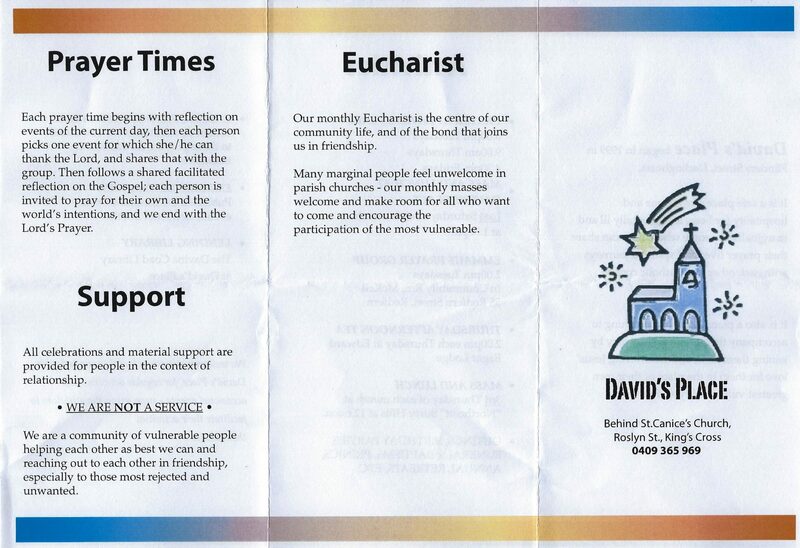 We welcome David’s Place as an integral part of our parish community. 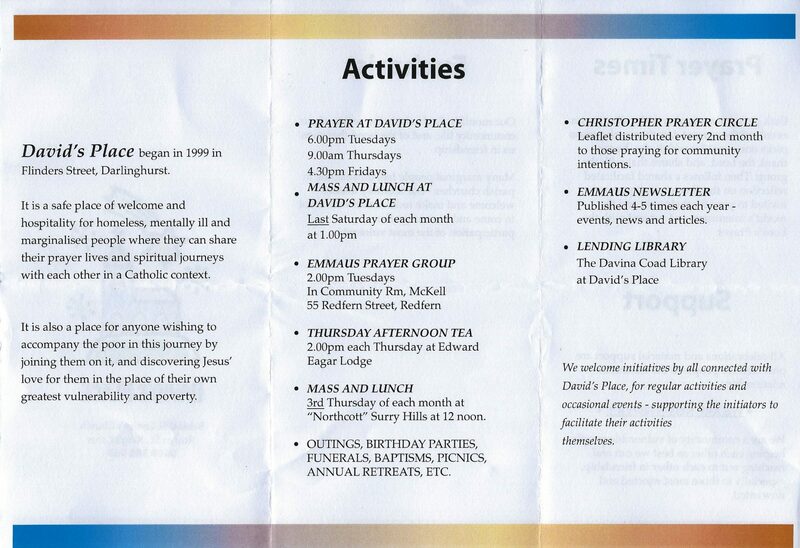 For the past 19 years, David’s Place has been a centre of light, community, prayer and spirituality for Sydney’s homeless and those living on the margins. Under the spiritual leadership of Sue Buckingham and with the encouragement of Bishop Terence Brady and Fr Chris Jenkins SJ, David’s Place new gathering point and spiritual home is at St Canice’s. 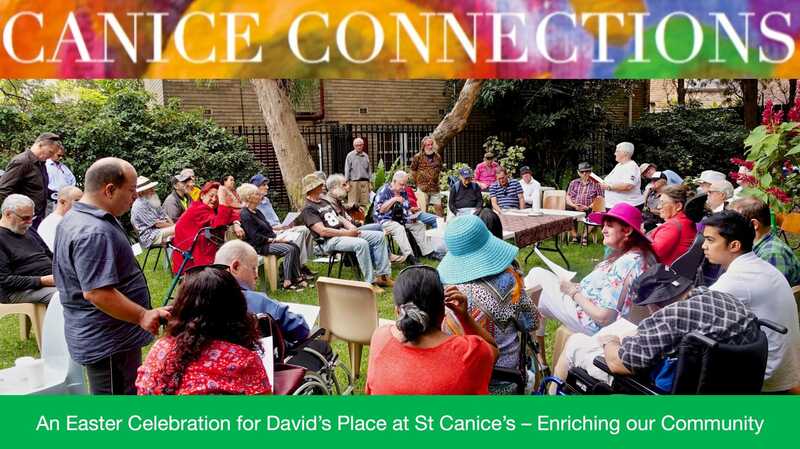 David’s Place provides an inner city space where Sydney’s poor gather to pray, receive pastoral and spiritual support, attend Mass and experience acceptance, fellowship and solidarity with the wider community. Today, forty gathered in the Peace Park next to St Canice’s to celebrate the coming of Easter under the guidance of long-time friend Fr Adrian Meaney MSC. After the ceremony, all enjoyed the fellowship of an Easter lunch in the park. Their friend Bishop Terry Brady also came along and joined in.